The 2017 AES will be held at the Bell Harbor International Conference Center on the downtown waterfront of Seattle, WA, USA on April 13-14, 2017. 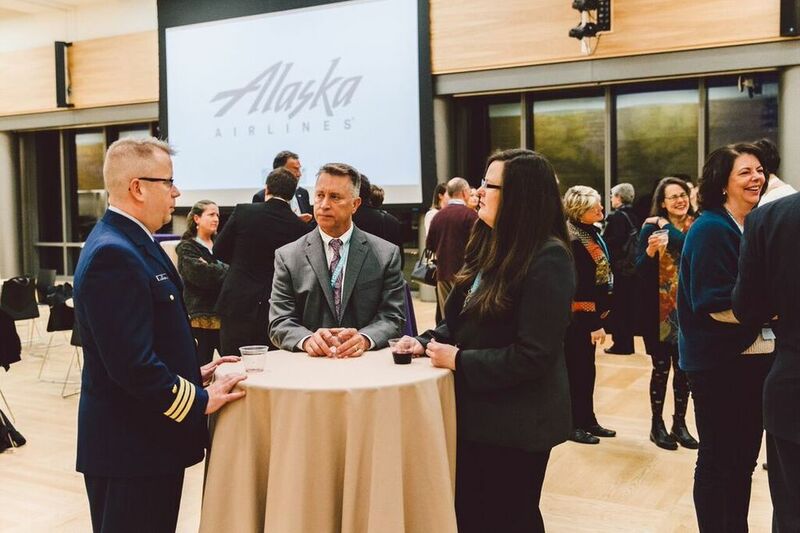 The strategic theme of the 4th annual AES - Shifting North: A New Era in the Arctic - which will confront challenges and engage solutions regarding the shifting environmental, economic, and political climate of today's Arctic regions. 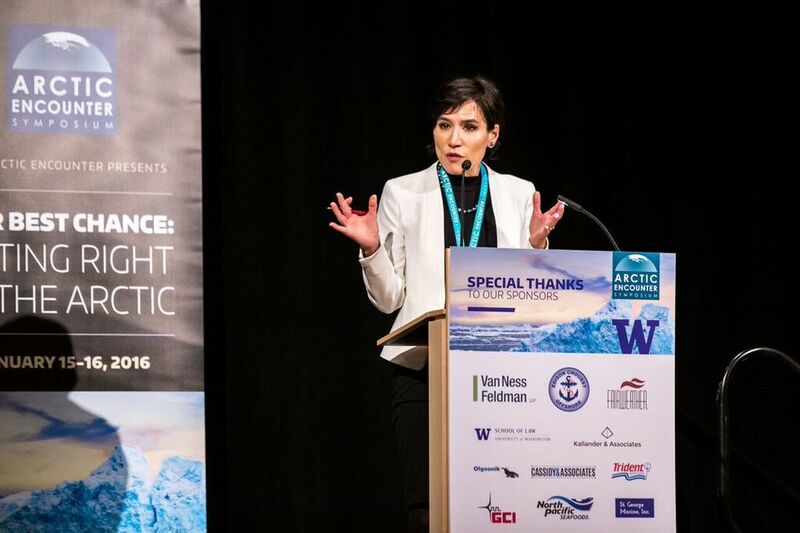 As the largest annual Arctic policy conference in the United States, the Arctic Encounter convenes policymakers, industry leaders, and experts to confront emerging challenges in Arctic policy, innovation, and development. 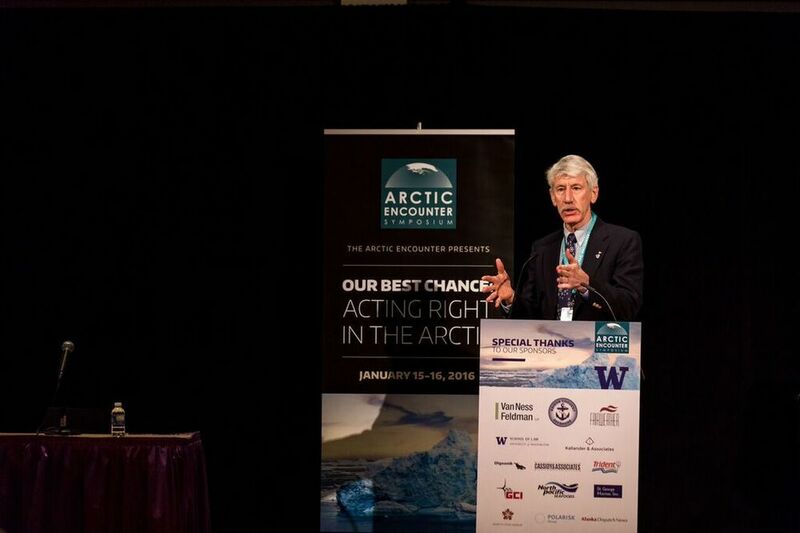 The mission of AES is to raise awareness, engage challenges, and develop solutions for the future of the Arctic region and the people who live there. AES 2017 will build off of the success of the 2016 Symposium by continuing to bring world-class speakers to dialogue, debate and collaborate with participants from around the world. To review the participating speakers and sponsors at AES 2016, please click here. Mr. Dermot Loughnane, CEO, Tactical Marine Solutions Ltd.
Ms. Meera Kohler, President & CEO, Alaska Village Electric Cooperative, Inc.
Mr. Sean Dwyer, Captain of the F/V Brenna A, as featured on the "Deadliest Catch”; Vice President, St. George Marine Inc.
Mr. Aaron M. Schutt, President & CEO, Doyon Ltd.
Dr. Lance Miller, Vice President, Natural Resources, NANA Regional Corporation, Inc.
Ms. Jenny Gore Dwyer, Secretary of the AES Board of Directors; Owner & President, St. George Marine Inc.
Elle Marja Eira, Visual Artist and Musician from Sápmi, Norway. Rachel Nesvig, Professional musician specializing in the Hardanger Fiddle, a traditional Norwegian instrument.